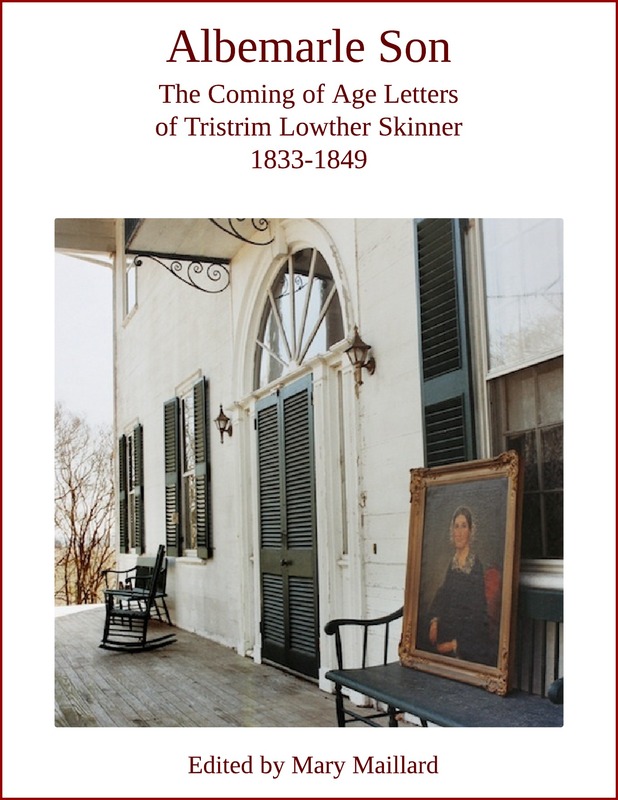 The Skinner Family Papers is a collection of documents, primarily letters, ranging from 1770 to 1900, housed at the University of North Carolina’s Southern Historical Collection. 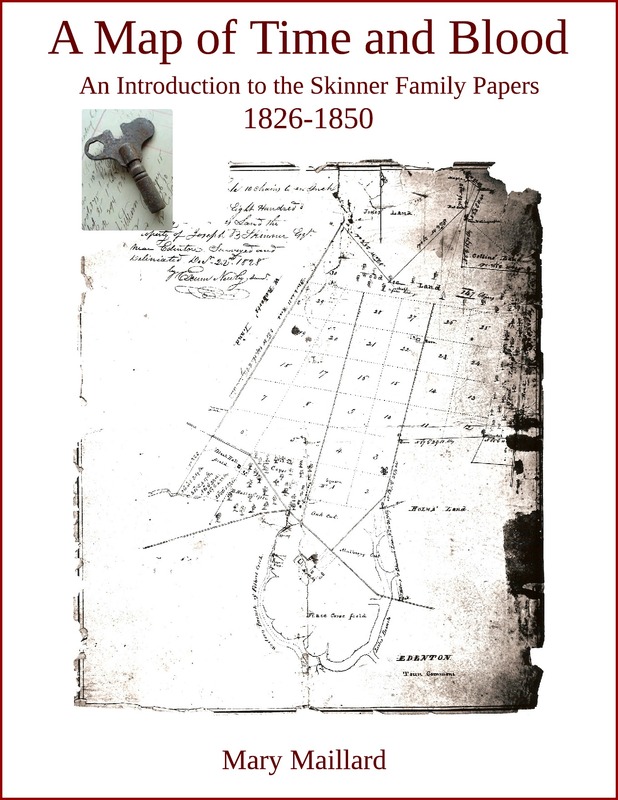 Documentary editor, Mary Maillard, has selected a number of these documents for ebook publication and has written an introduction to the collection, A Map of Time and Blood: An Introduction to the Skinner Family Papers 1826-1850. 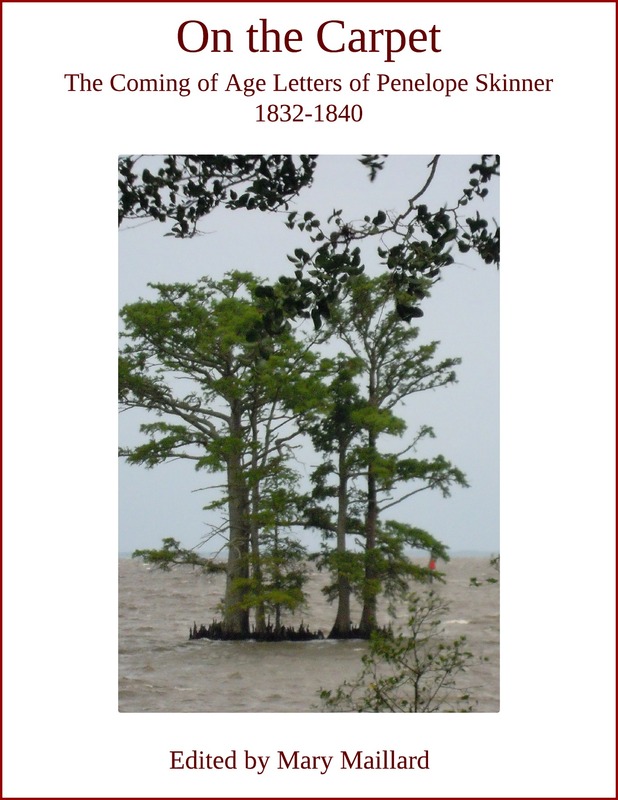 Beautifully illustrated and sprinkled liberally with primary source quotations, A Map of Time and Blood illuminates antebellum southern culture in North Carolina and Virginia and reveals how one planter family evolved in three generations from antislavery Quakers to slaveholding elites. 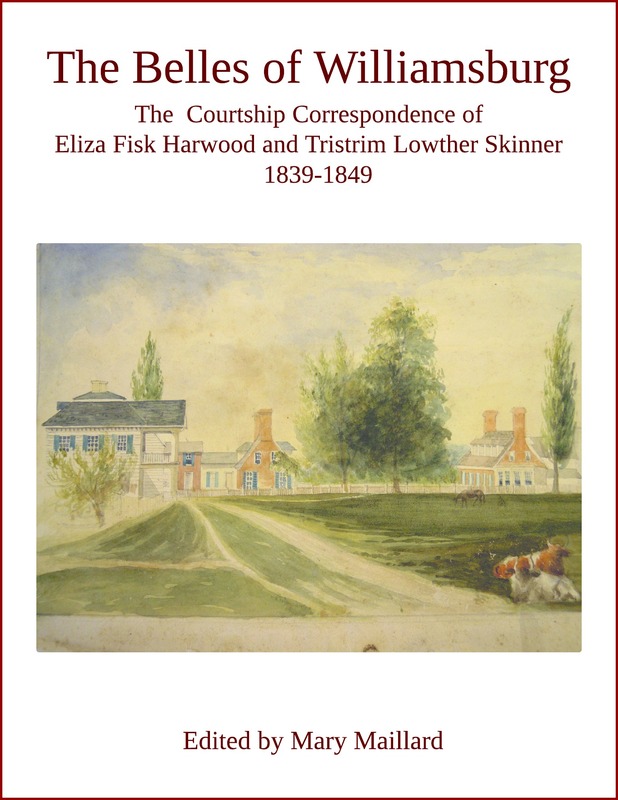 Connecting documents in the Skinner Family Papers with those in Swem Library at the College of William and Mary, Maillard reconstructs longstanding kinship links between Edenton, North Carolina, and Williamsburg, spanning nearly a hundred years. With skillfully presented annotations, extensive original research, and a uniquely organized name index, Maillard’s monograph is an essential guide for readers of the Coming of Age ebook series: On the Carpet: The Coming of Age Letters of Penelope Skinner 1832-1840 (October 2014); Albemarle Son: The Coming of Age Letters of Tristrim Lowther Skinner 1833-1849 (October 2014) and The Belles of Williamsburg: The Courtship Letters of Eliza Fisk Harwood and Tristrim Lowther Skinner 1839-1849 (January 2015). A fascinating family story emerges from these documents, unique in its depth, scope and continuity. The detailed descriptions of everyday life challenge our contemporary ideas of belles and debutante balls, redefine this society within the context of a devastating economic collapse, and dispel the Gone With the Wind myth of a languid planter class basking in sun-drenched abundance. Maillard’s monograph and series of letter collections are required reading for anyone interested in the Old South.